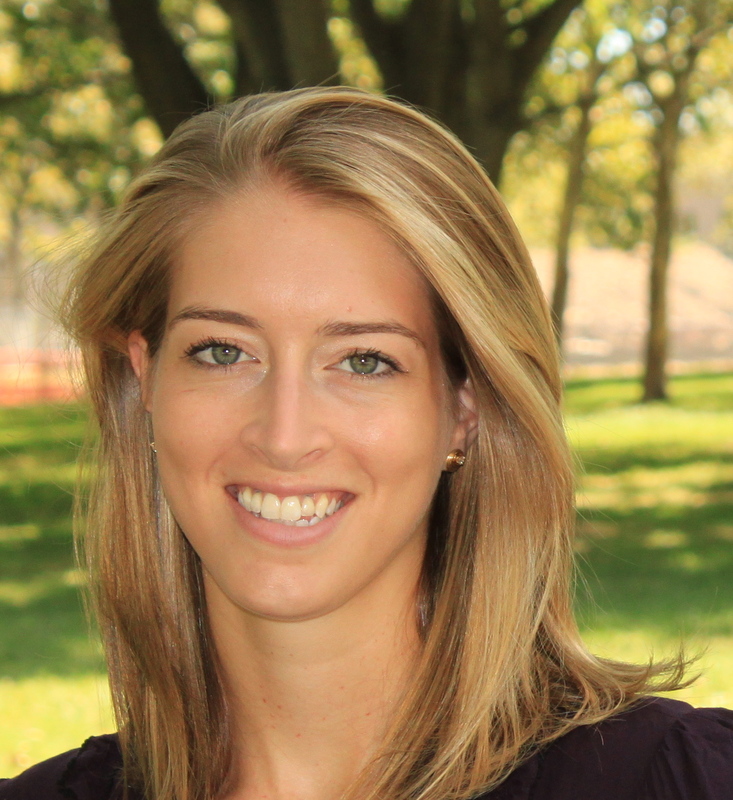 Guest post by Jennifer Goggin, co-founder and CEO, FarmersWeb. The views expressed here are solely those of the author and do not reflect the views of Food+Tech Connect. Information technology may not solve the physical limitations of re-localizing our food system, but the transparency it can facilitate allows consumers to demand one that is more sustainable. If you want to buy local ingredients to stock your kitchen, you can frequent your neighborhood farmers market or order from a handful of transparent online markets, such as Good Eggs or Farmigo. This is a wonderful use of technology that shares with consumers exactly who is growing or producing their groceries. However, the sad reality is that most of us don’t cook the majority of our meals for ourselves. Students eat at their school cafeteria. Office professionals pick up something from a nearby eatery and bring it back to their desks. Diners of all ages choose to eat at restaurants or order take-out for meals throughout the day. In these situations, there is little transparency about where food comes from and therefore little opportunity to make an informed choice if you care about local and sustainable food systems. In many cases, there is a lack of transparency because, historically, restaurants and other wholesale buyers have needed to purchase products through large distributors who are getting their products from other large processors or aggregators, both domestic and international. Although these big players may know the source of items for food safety purposes, it is not information they typically disclose to their customers. Online wholesale markets like FarmersWeb, responsible brokers like Sea to Table and other emerging technologies are making it easier for restaurants to opt out of the industrial food distribution chain and instead purchase products that come from known sources. The challenge we face now, however, is making sure this transparency continues to flow through to the end consumer. Imagine, for example, being able to scan a restaurant’s menu with your phone to find out where each ingredient comes from before deciding which dish to order. Without technology expediting the flow of information, this would not be feasible – menus would be overwhelmed with farm names and would need to be reprinted constantly, since truly local and seasonal sourcing tends to mean that producers and items change often. Such transparency lets you as the consumer vote with your dollar. If you support buying organic, you can order a dish that includes organic ingredients. If you support buying local, you can order a dish made with local produce. If you have a favorite local farm that you recognize from a farmers market, you can choose to frequent restaurants that buy from that farm. You get to make an informed choice even when you’re not buying the ingredients to cook yourself. This choice is power, and this power can directly increase sales for organic or local producers. If a restaurant realizes that it is consistently selling out of an appetizer featuring Farmer John’s carrots, it will likely increase its order for carrots from Farmer John the next time around. Some might say that the root of our food problem is a broken distribution system. But the distribution system will only begin to change when wholesale buyers and consumers demand it. However, we as consumers can only make these demands if we have the necessary information available to us. 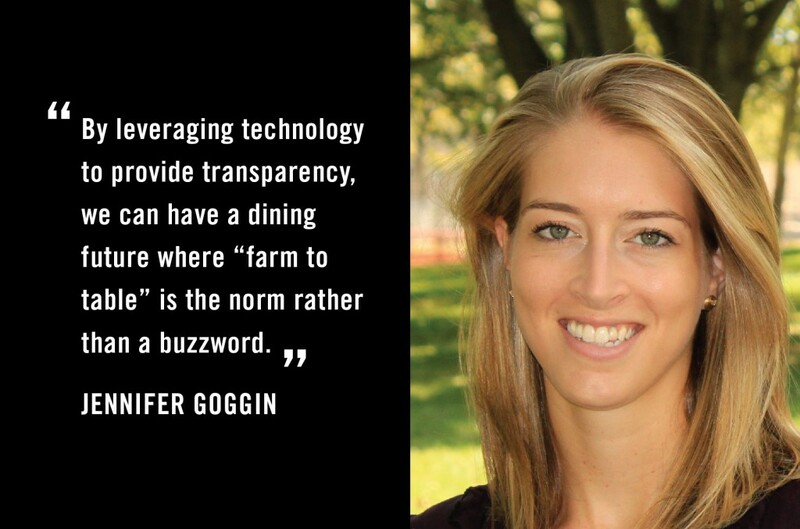 By leveraging technology to provide such transparency, we can have a dining future where “farm to table” is the norm rather than a buzzword. 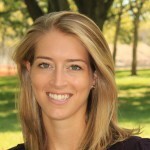 Jennifer Goggin is the co-founder and CEO of FarmersWeb, an online marketplace that connects local farms and wholesale buyers. 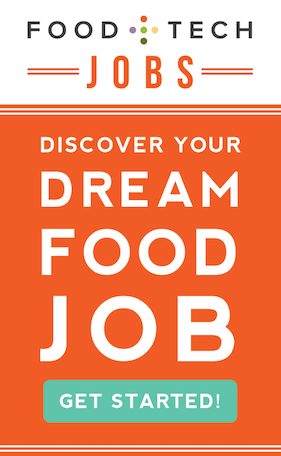 Prior to founding FarmersWeb, Jennifer was the Director of Operations for Basis Farm to Chef, a New York City-based distribution company specializing in locally grown products. At Basis, Jennifer managed the day-to-day operations of the business and focused on farm procurement. She is a board member of Slow Food NYC, an active supporter of Just Food, and has spent time as a WWOOF volunteer on family farms in Italy.